She's the size of my hand! She'll probably make up for it by being a spark plug. 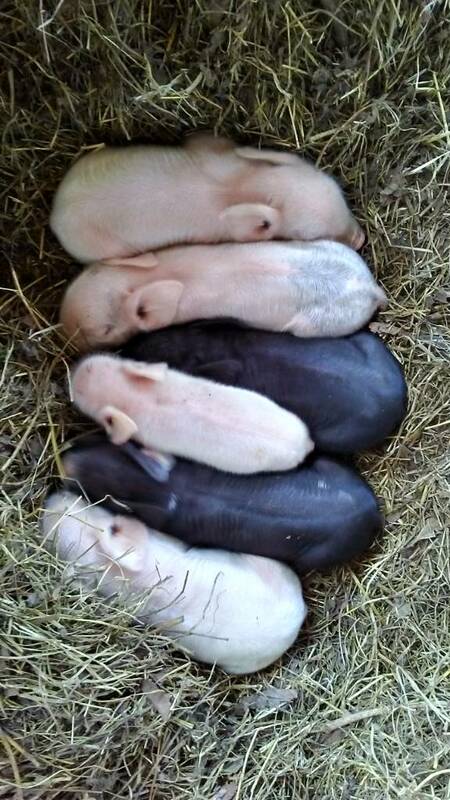 Baby pigs are soooo cute. 18 live so far....2 stillborn, 1 crushed. Pretty good for gilts. I'd say! 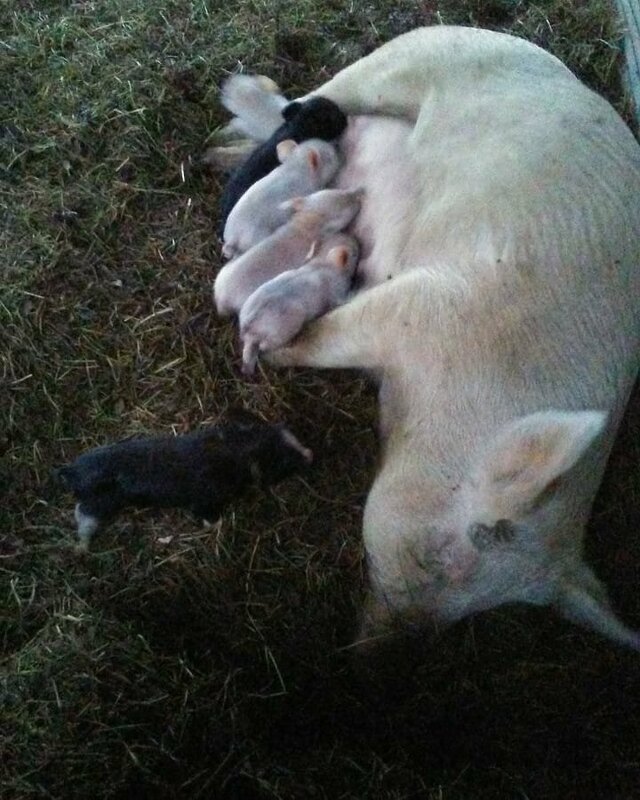 Congrats on the great litters! I add congratulations. 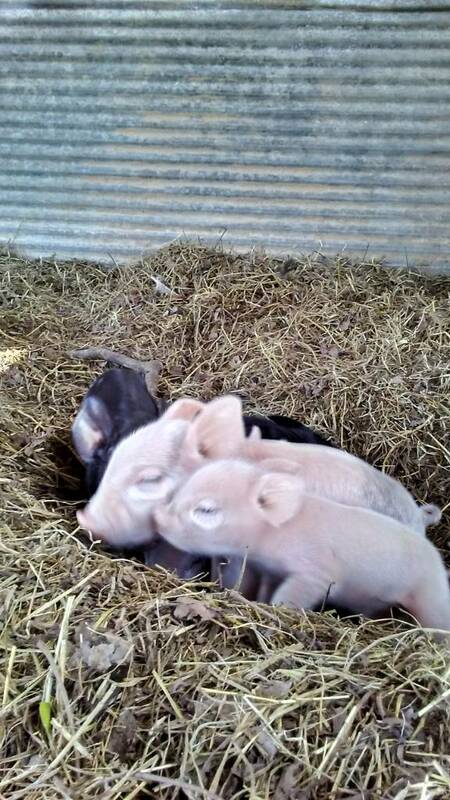 Love love love baby pigs. Thanks for sharing those adorables. It's between 3 sows....so not as remarkable as y'all are probably thinking. Still, for first time girls, I'm very very pleased with their dynamic in the group farrowing and with the numbers. One more to go and I can sleep easier. They are so cute! I wish you lived closer, I want some pigs later this year. Oh my, they’re cute!!! Someday I’ll convince DH to let me raise a pig or two... until then I live vicariously through you guys with your piggy pictures!! Last one farrowed last night. Uh....we've got some pigs to raise! Wow, farmel you’re gonna have your hands full! How many in that litter? 8 maybe? They're all piled up so I've had 2 different totals twice, lol. Pork is what keeps the lights on around here so I'm stoked it went so well. Def 8 which brings the total to 26. I'm not looking forward to them being adolescents but they sure are cute to watch right now. Nice! Lookin forward to ours due towards the end of April. Awesome - I hope it goes well!